The 21st anniversary of Azerbaijan's independence was celebrated in New York, at the tallest building of “Empire State” in New York. The celebration event was attended by many guests, including politicians, reps of diplomatic corps, public and media figures, representatives of Azerbaijani Diaspora. Former Congressman Michael E. McMahon spoke of high level of the bilateral relations between Azerbaijan and the United States, noting that Azerbaijan develops quickly and he is pleased with communication with Azerbaijanis. He, in particular, recalled his recent visit to Baku. “I enjoyed there. Relations of the two countries are very high, and I hope it will continue to be like that all the time", he underlined. 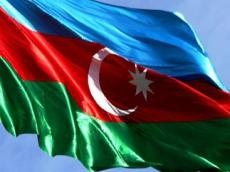 Azerbaijan's Permanent Representative to the United Nations Agshin Mehdiyev, President of Azerbaijan American Society (AAS) Tomris Azeri addressed the participants to share their feelings of independence celebration.